The Ibrox men now face Kilmarnock in a Scottish Cup fifth-round replay on Wednesday. 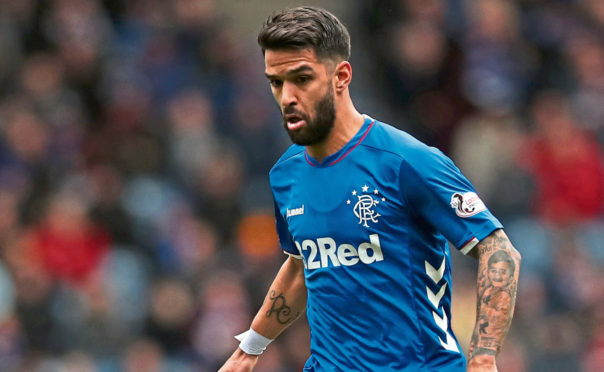 Candeias issued an apology to supporters and demanded a big improvement from his team-mates. He said: “The whole team is disappointed with the result and performance against St Johnstone. “We now have to look at ourselves for the mistakes we made in the game. “We need a reaction on Wednesday night. We have to put in a great performance and win the game. Candeias is a close friend of Alfredo Morelos but refused to use his absence as an excuse for the no-score draw. He went on: “Alfredo is important for the team – he’s our top scorer – but we have great players in the team without him. “When he’s not there we have Lafferty and Defoe. “They’re great players but everyone was disappointing. “I had a chance to score in the second half but when the team aren’t playing well, you have mistakes. Meanwhile, Lassana Coulibaly looks unlikely to have a long-term future at Rangers. Steven Gerrard maintains the way Neil McCann coached Glen Kamara at Dundee helped secure his move to Ibrox. The Finland international, who made his debut yesterday, could make it difficult for Coulibaly to get game time, lessening his chance of a permanent move from Angers. Gerrard said: “Glen’s been well coached at Arsenal but I also think I have to mention Neil McCann. The Rangers manager admitted money for a transfer fee could get in the way of signing Coulibaly.